19th Century parlor with nature captured under glass. Please join us on Thursday November 13th to explore the role that natural history played in the everyday lives of people from the 19th Century. 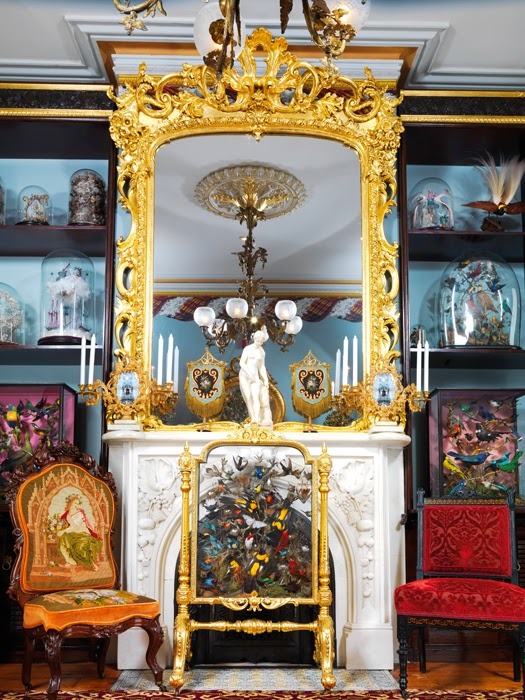 John Whitenight will present a slide show with images from his book, Under Glass A Victorian Obsession, that illustrate how objects created from beeswax, sea shells and collections of taxidermy filled the parlors and drawing rooms of 19th century interiors. During that era an obsession developed with the natural world which has never been surpassed. Collections of many wealthy "amateur naturalists" developed into present day natural history museums both here and abroad. This idea of bringing the outdoors inside will be presented in an informative and comprehensive manner. 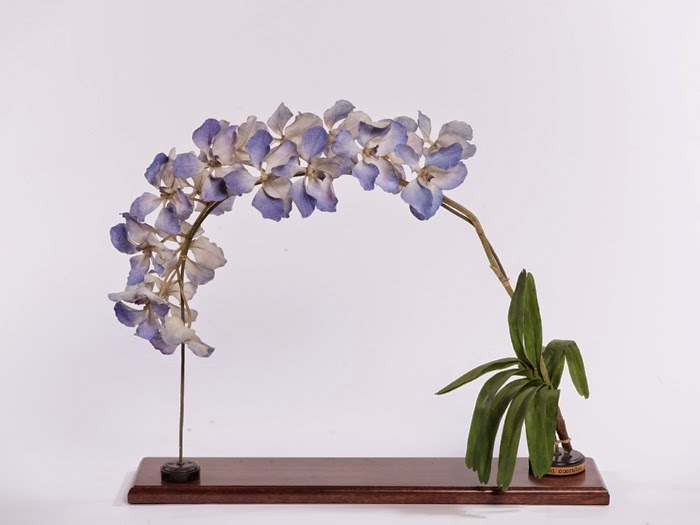 Wax model of a Vanda orchid, Kew Gardens, c. 1895. 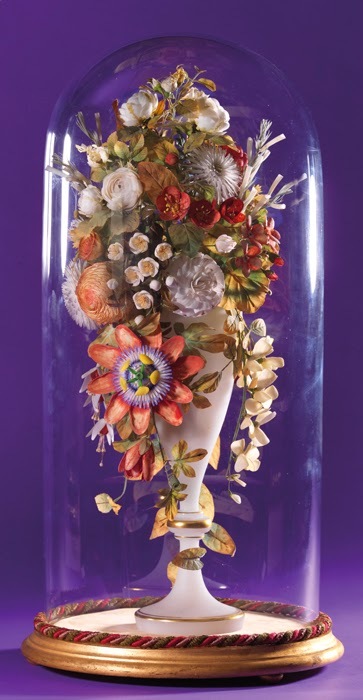 Shell flower bouquet under glass, c. 1870. 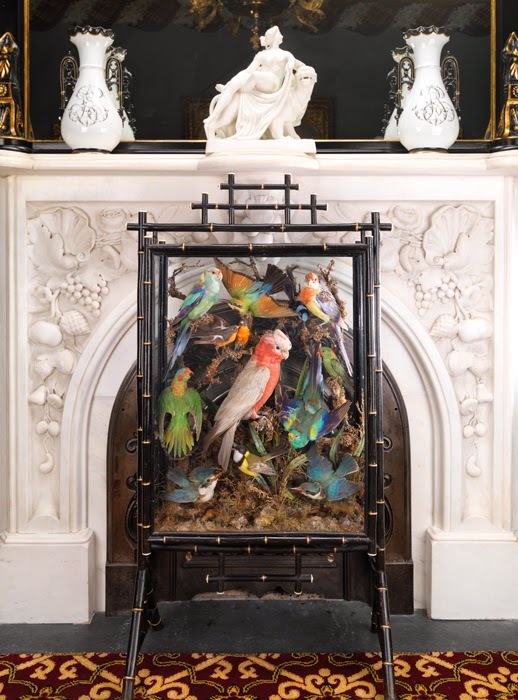 Exotic bird fire screen by Henry Ward, c. 1865. FYI the video of John Whitenight's segment with Martha Stewart is now on her website. Clink on the link below and scroll down to Martha Live and More on SiriusXM. His interview is the fourth from the left. Just click on it. 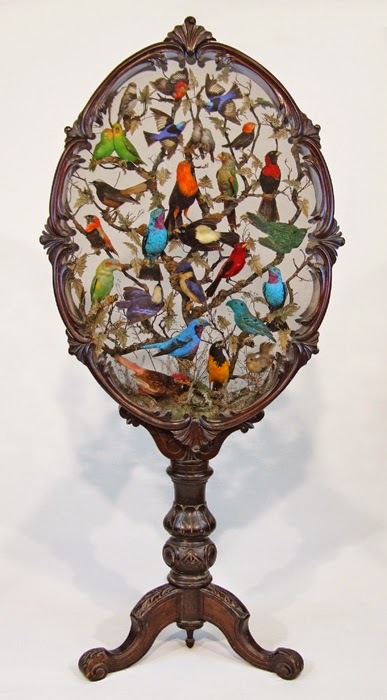 Fire screen of Australian birds attributed to Rowland Ward, c. 1890. 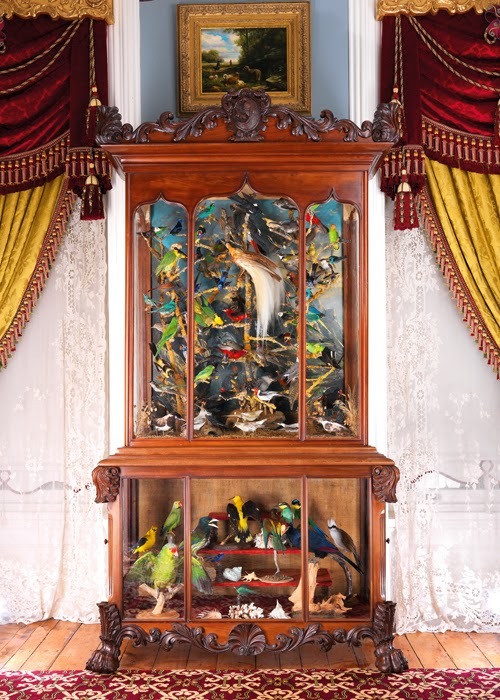 Ornithological cabinet by Luce and Chapelle, Isle of Jersey, 1855. Plus an upcoming event that you will not want to miss. Saturday November 15th at 2 P.M. near 12th and Spruce Sts.